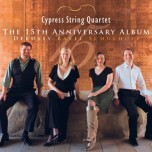 "Ahhh.. they have done it again and brought us another exquisite album of string quartets. 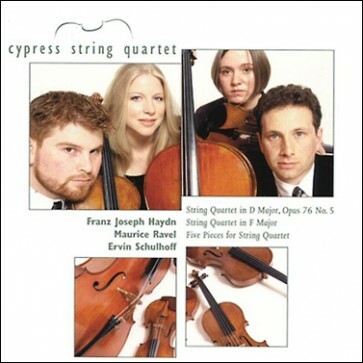 Based in San Francisco, the Cypress String Quartet bestows upon us this elegant and electric album with pure artistry that exudes ease, passion and integrity. They float along the sweet and delicate melodies of Haydn, the ghostly and poignant harmonic colors of Ravel and the exotic, energetic flair of Ervin Schulhoff with the same unwavering conviction and dedication. Bravo!"